Is it just me, or does Henry Miller, the young entrepreneur behind Henry's Humdinger Honey Brand, look a lot like Kevin Harrington, one of the original Shark Tank investors? Just like Harrington made his name in the "As seen on TV Infomercials", Miller is quickly making a name for himself in the Honey Bee Business. Not just any Honey in this rather already crowded market, but some wild new creative flavors your just going to have to try, to Bee-lieve. Honey's no different, especially considering his age at the time. Fate would have it Henry would sit next to a Professional Bee Keeper on an airplane ride that would forever change his life. After this Bee Keeper told Henry how bee hives are collapsing all over the world, and how dependent we are for the bees to pollinate our food, Miller knew he had to do something, and soon started his first colony of bees in Washington State. O.K., I couldn't get that video to cooperate, but I found an even better one on YouTube where Henry explains how he started making Spicy Honey with a kick. This video also clearly shows the help and support "both" his parents have invested into making Henry's dreams become a reality, which is also very important to note IMO. Does that picture look like Henry Miller should be on the QVC Network, or what? He presents himself like a natural in front of the camera's with plenty of experience to go into the Shark Tank, and walk away with a sweet deal from at least one of the Sharks. The one thing that concerned me was the fact Henry's Spicy Honey was available in only 31 States, and no way to order a few jars directly online. Son of a gun if these changes are taking place on the site right now as I'm writing this. 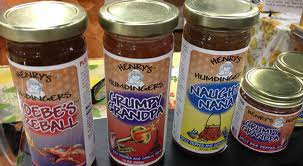 You can indeed order a jar of Henry's Humdinger's Spicy Honey Online. I sure hope Henry has enough bees bee-having to keep up with all the orders soon headed his way, because I Bee-lieve his honey is one sweet (but spicy) deal the Sharks are going to love. Thanks! That is so nice of you. I really appreciate you mentioning the bees - that seems to get overlooked a lot. And you are right my dad is working on the website so that it'll be up and running for Friday. 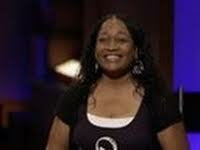 I just want to make it clear - you can order my Shark Tank Special on my website - on Amazon you have to order a lot. so go to www.henryshumdingers.com and go to the "store" section! Henry I'm watching our on shark tank now and I think it's brilliant. I will be buying from you shortly I hope. Keep up the good work and the bees safe! Thought you were great and really smart to take the deal. Hope you make a ton of money and wish you and your folks all the best. When are you able to ship to Canada ? Your pun comment made me laugh so hard I will order just for that reason alone. I hope everything goes well for you and your family in the future. i had tears in my eyes over that!!!!! Make your website is a link you can click on from this blog. Clicking on Henry's name will take you to his website. Henry, Good for you. I love honey and am excited to try your ceations of honey. People don't realize how serious the loss of bees are becoming. I'm from North Dakota and work at a University and there are people there working to help save the bees. Your parents must be so proud of you. I wish you a world of success. You will do great things. plus you are very cute! 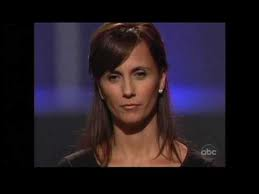 You were very impressive on Shark Tank, and I am very happy that someone saw what you have to offer. I bee=lieve you will be a huge success. Your parents must be very proud of you! Your Shark Tank presentation was very impressive, great poise. 'Just placed my order, I'm more than ready to support your efforts. I'm sure you will continue to be recognized and rewarded, keep it up. Henry, you should do VERY well in Texas! We're pretty proud of our homegrown honey, but no one thought to make it spicy! I'm so excited to try your products!!! I'm sure Mark will get it into HEB stores! Henry good job in Tank, as a business strategy guy - I was really impressed! Good presentation. (you do better than many of these MBA types I have to deal with). I'm buying some of this to experiment on my BBQ now that the weather is getting warmer. When can we order this in canada?? I don't think the people on this board know that this deal never closed, and Henry Miller's family ended up rejecting the offer made on the Shark Tank show. The large majority of deals agreed upon during the airing are never completed, as there are no details, financial examinations, etc involved in the short pitches. Henry still owns 100% of the company. Wow, I thought that was a good offer from Mark and Robert. Considering the risk. 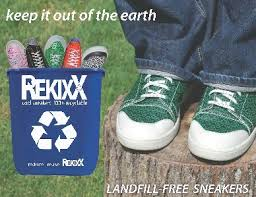 If it was patented (which is difficult) then maybe less risk. But they would have put up all the money and resources to make this a huge success. 25% of 5 million dollars is nothing to cough at for not having to do majority of the work or take majority of the risks. I wish the best for the Millers and Henry. Looking to get some shipped to Winnipeg Canada ,when can I do this ? I'm BUYIN' the Shark Tank Special RIGHT NOW!!! And not because you bought tears to my eyes when you told your parents you were able to pay them back! Well...maybe that helped in the sale to me, LOL. More importantly I LOVE HONEY, and the response from the Sharks was YUMMY! I'm so lookin' forward to receiving my package...sure hope you sell to Cali! You're a great human for caring about the bee's and such a great example of what a SON should be. the fact that your age...you understand what it meant for your parents to put so much $$$ your way and help you with your dream...and that you wanted to make sure you paid them back ASAP was amazing. I'm a 54 year old women with NO children, but I'd take you in a heartbeat! PLEASE keep and hold onto the Man you are becoming! GOD BLESS YOU AND YOUR FAMILY...AND THE BEES TOO!